Well, as I mentioned earlier – we bought a shed. It is a pre-cut kit and made of wood. What they don’t really make super obvious is that the floor isn’t included and extra reinforcement for the floor and screws are needed. You also have to buy shingles of course. Then the building of it begins. Working all day and only having 90 minutes or so of daylight after work makes it take longer than the weekend project it is supposed to be. Also, rain days slow down the project quite a bit. So Mike has started working on the shed when he can. He is doing almost all of it by himself. He does have the help of the 6 year old neighbour boy on occasion. He comes over and says “I am good with tools – can I help”? Heehee! 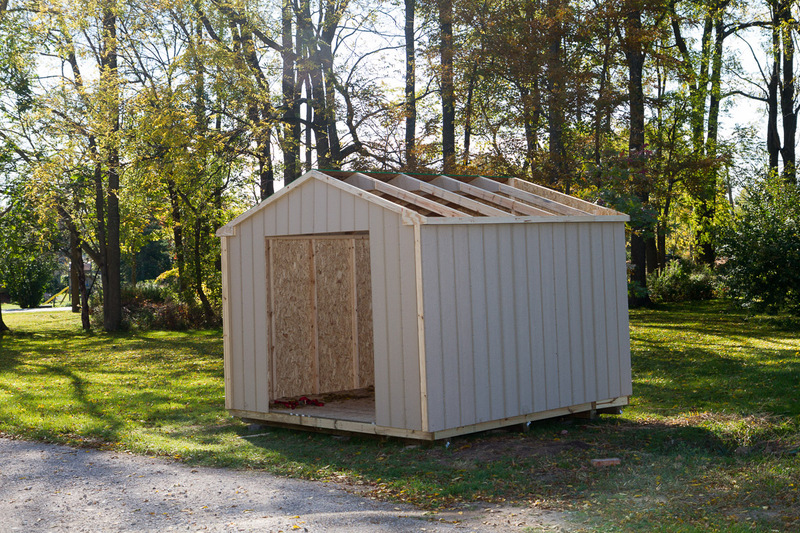 Mike will probably share more on this when he is finished the shed.